The AUEB i-MBA Sailing Club invites students and alumni of the program to the Annual Meeting of the Club which will take place on Saturday 13th December at 12:00 at Dia Noche cafeteria, Alimos (to see the invitation, click here). During the meeting, the members of the Club will have the opportunity to meet students that are interested in joining the Club and share their thoughts over Sailing. Moreover, the Elections for the Club’s Presidency will be held and an informal First Aid Seminar will be presented, in order to inform and raise awareness on the topic and offer basic information on provision of First Aid for various incidents. 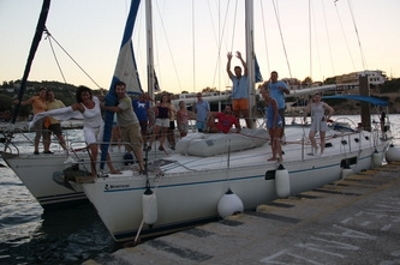 For further information, you may contact Mr Andreas Papaevangelou (PT9) at sailing@i-mbalumni.com.